Show that new wine bar some love with the Cabernet Accessories Set. 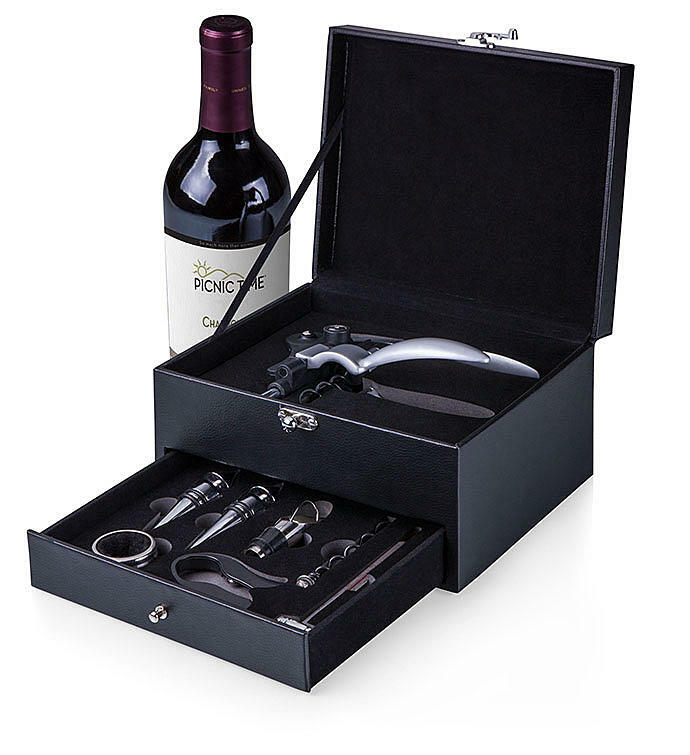 The black leather gift set with white accents screams elegance and poise. Tap into their sophisticated side with everything needed for drinking wine, and looking good while doing it.